BWLK has hit the big screen! To increase the firm’s visibility and support Salem’s local movie theater, BWLK recently agreed to participate in an advertising program coordinated by a company called Before the Movie. Salem Twin Cinema on State Street recently began showing BWLK’s commercial on the big screen prior to movie presentations. “We have always felt that supporting local businesses is very important,” said Rick Lutsch, one of the firm’s principals and coordinator of the commercial project. 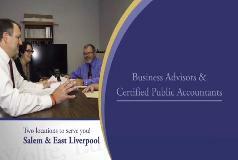 The commercial is 15 seconds in length and features information about the firm, as well as several photos recently taken as part of BWLK’s website upgrade. Salem Twin Cinema has been a part of the Salem community since it opened under its original owner in 1972. Previously owned by Geoff and Kim Goll of Salem, it was sold in 2014 to Jock and Natalee Buta. The theater was then completely remodeled and upgraded to use digital projectors allowing 3-D movies, surround sound audio equipment, and deluxe seating featuring both reclining and vibrating seats. You can watch BWLK’s commercial here.